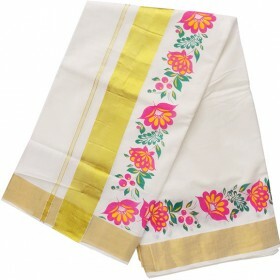 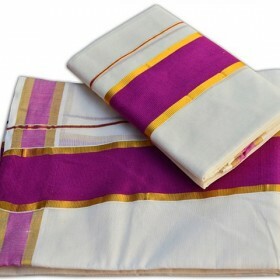 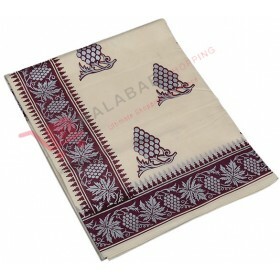 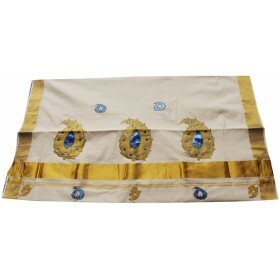 Modern traditional sarees are mostly loved by our generation to get a trendy touch, this is Kerala h.. 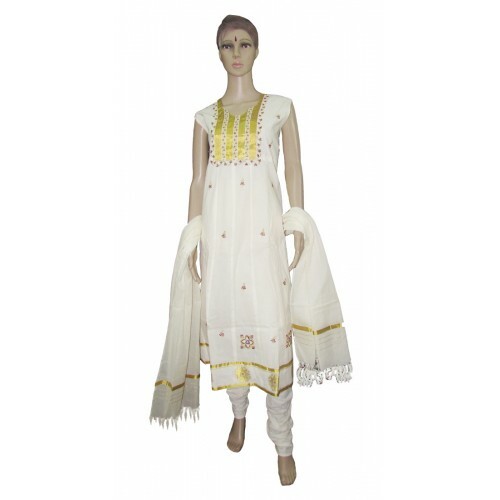 Dispel the monotony and set the mood in this beautiful Kerala kasavu churidhar with off white anarkali.it have golden zari with small embroidery work on its neck and border with golden round floral embroidery. 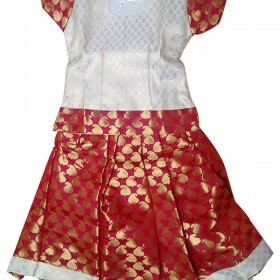 This is Flare type model with small embroidery work on whole body, having crush type bottom and dupatta with kunchalam. 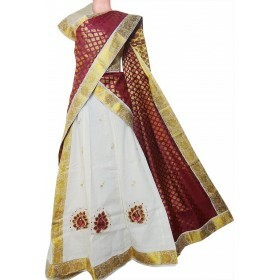 It would be perfect for traditional and trendy occasion. 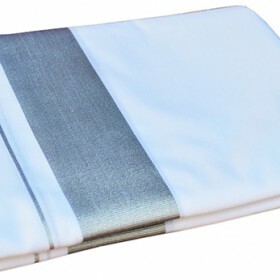 Sleeve is provided.